And the cooperation of the Tolkien estate is far from guaranteed. For as Tolkien’s son Christopher told the French newspaper Le Monde in 2012, “Tolkien has become a monster, devoured by his own popularity and absorbed by the absurdity of our time…The commercialization has reduced the aesthetic and philosophical impact of the creation to nothing,” meaning he probably shouldn’t book a flight on Air New Zealand any time soon. 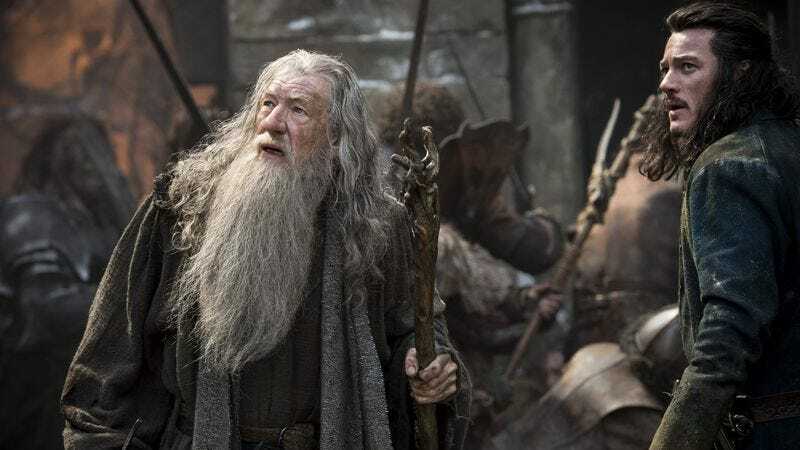 So unless Tolkien’s heirs, who are clearly not pleased with marketing tie-ins like Denny’s Gandalf Gobble Melt, change their minds about the integrity of their patriarch’s work, this might actually be it for Tolkien film adaptations (until the Lord Of The Rings reboot, anyway). Meanwhile, the government of New Zealand is presumably frantically speed-reading its way through the fantasy section at its local Barnes & Noble, because it’s either this or sheep.